Built in 1726, the beautiful old White Lion Inn with its atmospheric bar offers a warm welcome in a comfortable and relaxing environment. Relax with friends and family over a drink or two, sit by the open fires and on fine days take a seat outside to enjoy the beautiful and relaxing gardens. Our imaginative and varied menu includes established pub favourites as well as more exotic dishes. 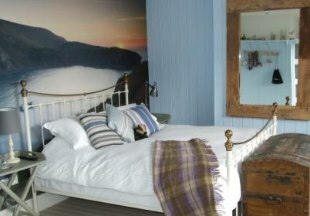 We have two beautifully appointed en-suite double rooms full of character. 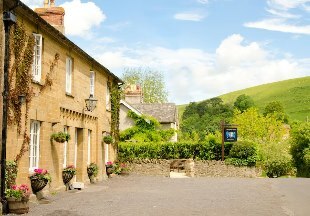 Welcome to the Stapleton Arms, a new style country pub with rooms situated on the Somerset / Dorset / Wiltshire border. Our philosophy is quality food cooked simply with the freshest local ingredients, sensibly priced, and our menu changes daily. Sample some of our superb range of tapped and bottled beers from around the world or our great wines and whiskies. Our four individually furnished bedrooms boast state of the art bathrooms. Quintessentially English and completely refurbished from cellar to loft, The Kings Arms has retained the atmosphere of a traditional country pub but with full 21st century comforts. The inn boasts great home cooked food, log fires in winter and a lovely garden, terrace and croquet lawn for the summer. 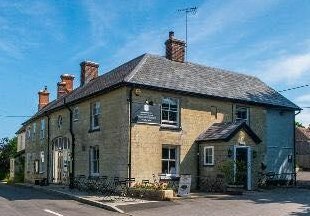 This welcoming country hotel is situated in Charlton Horethorne, three miles from Sherborne, on the Somerset / Dorset border. 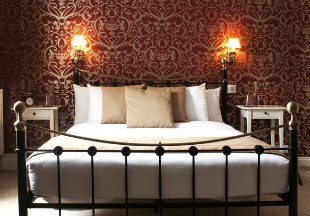 The Fontmell offers individually designed en-suite bedrooms and an eclectically furnished bar serving local real ales and unusual wines. There is also a stylish library-themed restaurant serving stunning food. Unusually, a babbling stream runs between the bar and the restaurant. The Fontmell is the perfect place for a weekend away in North Dorset. 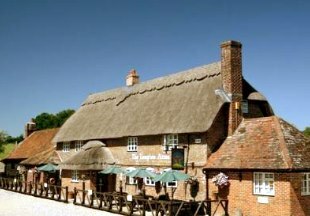 Welcome to the Brace of Pheasants, a 16th century thatched inn located in the heart of Hardy's Dorset, awarded Dorset Dining Pub of the Year 2011 by the Good Pub Guide. We have eight en-suite bedrooms, four in the old skittle alley and the remainder upstairs above the pub. 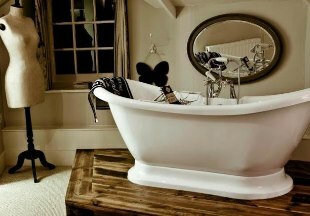 The rooms have been individually created by interior designer Chrissy Potter to make your stay feel that bit more special. Welcome to the Half Moon in the beautiful Dorset town of Sherborne with its Abbey and Castle, an ideal base for discovering Hardy's Wessex. Food is served all day, including sandwiches and snacks as well as hearty pub meals. There are also 13 comfortable en-suite rooms. This lovely 17th century thatched inn is peacefully set in the small thatched hamlet of Tarrant Monkton in the Tarrant Valley, surrounded by some of the most spectacular countryside in Dorset. 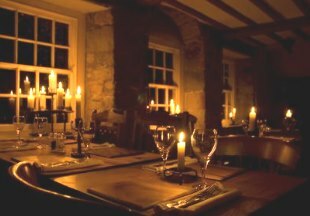 A free house, the inn is renowned for its excellent food and offers a wide variety of interesting homemade dishes, including vegetarian meals, at value-for-money prices. The accommodation includes six guest rooms set around an attractive courtyard, plus four rooms in the beautiful neighbouring cottage, Taddlestones. Located just a few minutes walk from the beach and only a 15 minute walk from the centre of Bournemouth, the Cottonwood with its panoramic views over the bay is perfectly located for those visiting the area. Enjoy the views whilst soaking up the sun from the bar and terrace, or experience elegant fine dining in the Garden Restaurant. Ask about the Chocolate Buffet! Fancy a bit of pampering? The on-site Beauty Essence offers a number of beauty treatments, and if visiting in the summer months, why not check out the outdoor pool! 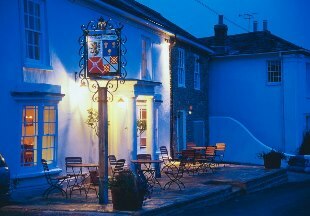 In the centre of the Saxon walled market town of Wareham sits The Red Lion Inn. The 12 bedrooms have all been refurbished to a high quality and each room has its own character and design with Egyptian cotton bedding and flat screen TVs. This traditional inn offers dining for all, with traditional classics and options for gluten free, vegetarian and vegan diets. Wareham stands on the eastern gateway to the Jurassic Coast and Corfe Castle is only around 4 miles from the inn. 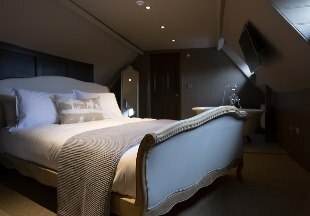 The Minster Arms offers luxury accommodation featuring Victorian style bathrooms in ten newly refurbished rooms, alongside an on-site restaurant that offers rustic and honest food. Set in Wimborne, an old market town known for its charm and history. 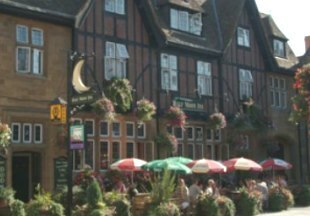 Set in a former 18th century cider house, The Queens Arms is set just 3 miles from the beautiful market town of Sherborne. With a rich history, Sherborne is home to Sherborne Abbey, the ruins of a 12th century palace and 16th century mansions, along with many medieval and Georgian buildings built in the local ham stone. AA 5 Silver Star Inn, 2AA Rosettes for food. 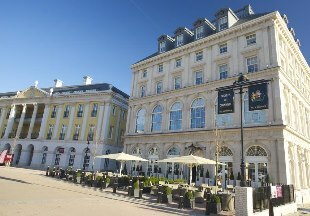 Overlooking the statue of HM Queen Elizabeth The Queen Mother, this palatial building offers 20 stylish bedrooms, each decorated with an exquisite attention to detail. The inn has been styled to the Georgian era, with luxurious extras including smart TVs. 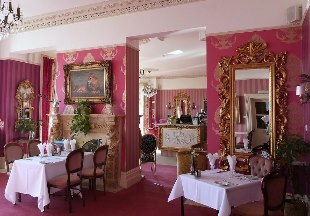 There is a choice of dining: the Pantry and Bar offer casual dining, whilst the Dining Room serves classic British food. Situated in Poundbury, a few miles from the center of Dorchester and only 3 miles from Maiden Castle, one of the largest and most complex Iron Age hill forts in Europe. Beginning its life as a Georgian home, The Stapleton Arms is now a stylish country pub located on the edge of Blackmore Vale in the North Dorset village of Buckhorn Weston. This welcoming inn offers a menu featuring fresh and local produce, described by the inn as 'laid back simplicity meets delicious decadence'. There are four individually designed bedrooms, each with unique touches. The Fiddleford Inn offers modern and spacious accommodation alongside traditional and honest pub grub set in the beautiful Dorset countryside. Perfectly located for those wishing to visit Poole, Bournemouth or Weymouth. Dorset is ' Hardy Country'. Thomas Hardy was born, lived and worked in Dorset and the county town of Dorchester features as Casterbridge in his novel, 'The Mayor of Casterbridge'. Situated on the world famous Jurassic Coast, historic Lyme Regis was featured in the film, 'The French Lieutenant's Woman'. The large resort of Bournemouth boasts great shopping, beaches and nightlife, whilst nearby Poole Harbour is famous for its superb natural harbour - and millionaires houses! Inland you will find rolling hills, winding lanes, sleepy villages and pretty country pubs. Dorset has been designated an ‘Area of Outstanding Natural Beauty’ and it's easy to see why. And where better to stay than at a country inn. Whether you want to be right at the heart of the countryside or close enough to the sea to dip your toes, you will find your perfect Dorset inn here. 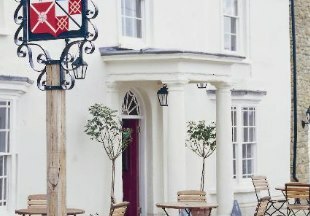 "Looking for the quintessential English inn? Dorset boasts many that could fit the bill. 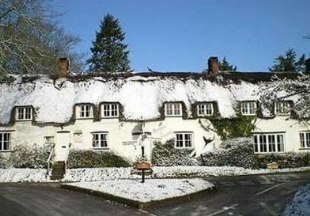 The 17th century, thatched Langton Arms is a great example of a village local, with fine ale and award winning food. 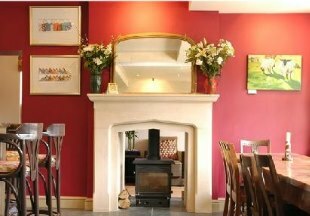 Or relax at the 5 star, 18th century Queens Arms, situated at the heart of the unspoilt, historic village of Corton Denham. Dorset is bordered by Devon, Somerset, Wiltshire and Hampshire. If you want to widen your search, why not browse through our selection of hotels and inns in Devon, Somerset, Wiltshire and hotels in Hampshire.